It has been the prayer of this church to reach the unreached people of our community, and connect them to everything God has for them. The great news is, God has been bringing them in! New families have been coming in every week, connecting to God through our modern services and Kid City programs, and finding a church they can call HOME. 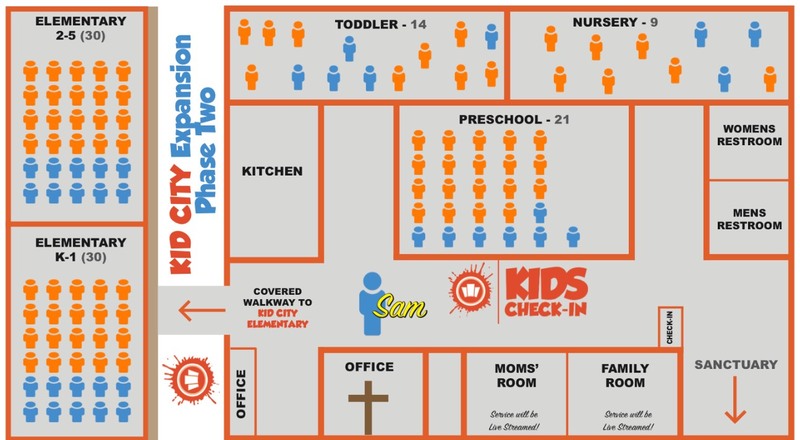 New kids are joining us in Kid City and begging their parents to bring them back! And we are overjoyed that God has heard our prayers and allowed us to reach them! Our average Sunday attendance has grown by 35% this year!! Every week we are reaching 100+ children and students and that number is quickly growing! Between Sundays and Monday night student service, our student population is our fastest growing demographic in the church. 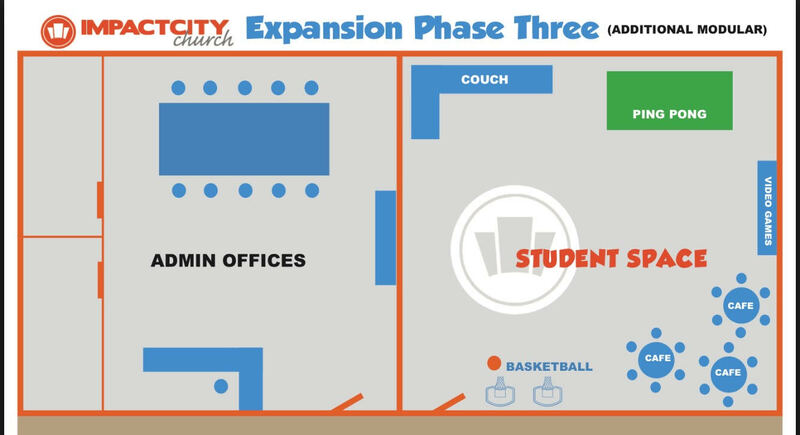 We need dedicated space for these students to connect with God and each other. We can do this through our “Making Room for Sam” campaign!! Sam represents the unreached child that you see in your neighborhood, the boy on the soccer team that doesn’t know Jesus, your friend in class you want to invite to church, or that troubled teen that needs a real friend. 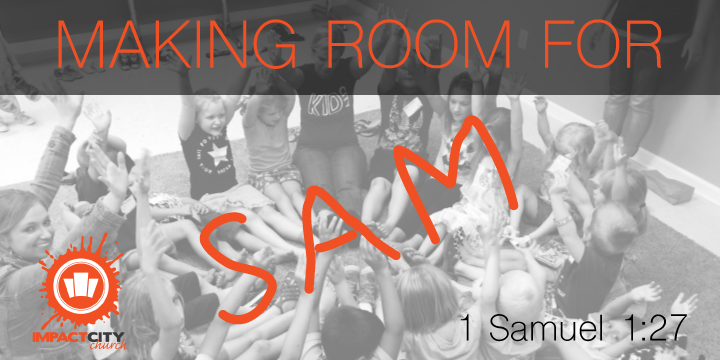 We all know a Sam, and we are praying for God to bring them into the church, BUT…we need to make room for Sam. You can help reach more families, and reach more Sams, by committing to give to this campaign. We have made it easy, by providing several options. Please prayerfully consider which option is the right choice for you. Thank you in advance for helping us MAKE ROOM FOR SAM!! Expansion Phase 1 (whoo hoo!!)) COMPLETE! Renovation of nursery, pre-K and toddler classrooms. Of the service. KidCity staffing support. (middle & high school) and office space. KidCity security measures. Here are some suggested ways you can give…We’re not asking for equal gifts, but equal sacrifice.